For the first time ever, a watchmaker has decorated a watch with the turquoise brilliance of a cuprian elbaite. Hublot has electrified its Big Bang with the naturally vibrant and intense colors of the Paraíba Tourmaline, a stone whose rarity can only be fully appreciated when learning that, on average, a single Paraíba Tourmaline is mined for every 10,000 diamonds. 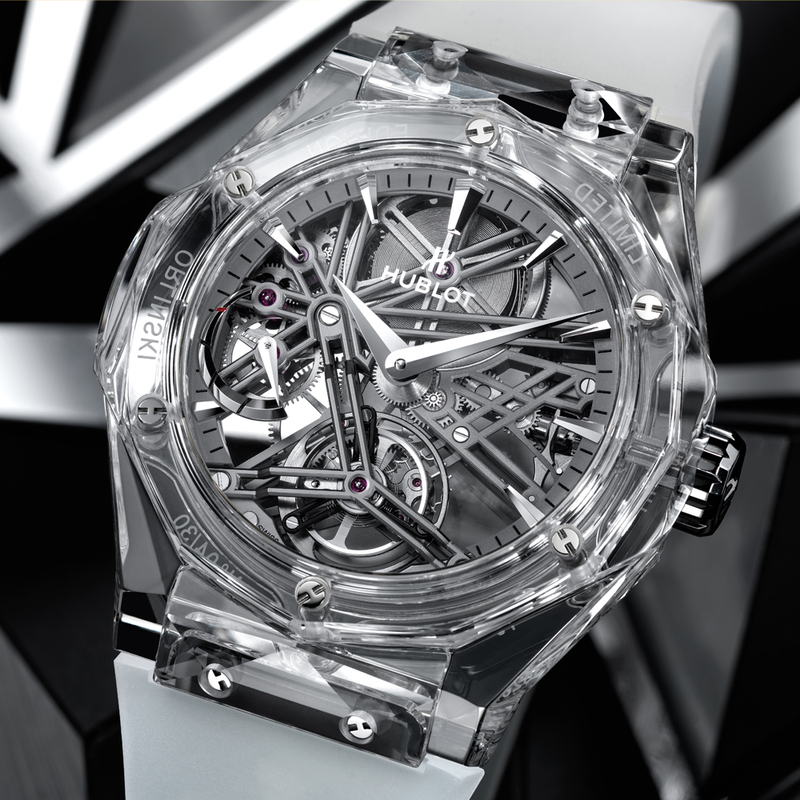 Since 2016, Hublot has been a pioneer in shaping and coloring sapphire. 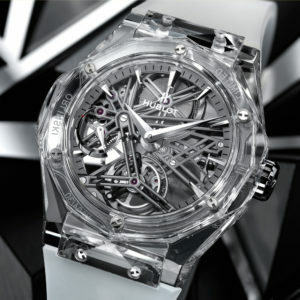 After launching transparent, smoked black, blue and red sapphire cases, Hublot continues its colorimetric quest. And as the sky has never been its limit, the watchmaker is once again marking a world first by bringing the color of the sun into its watches. 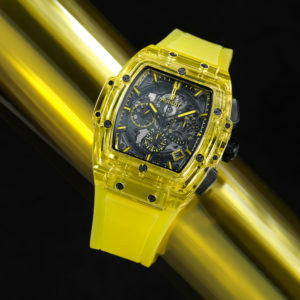 The Spirit of Big Bang Yellow Sapphire is energizing, luminous and brilliant. Elegant, minimalist and refined, the Big Bang 42 mm is dressed all in white for a relaxed and timeless look. Its size and color make it equally at home in men’s or women’s wardrobes. 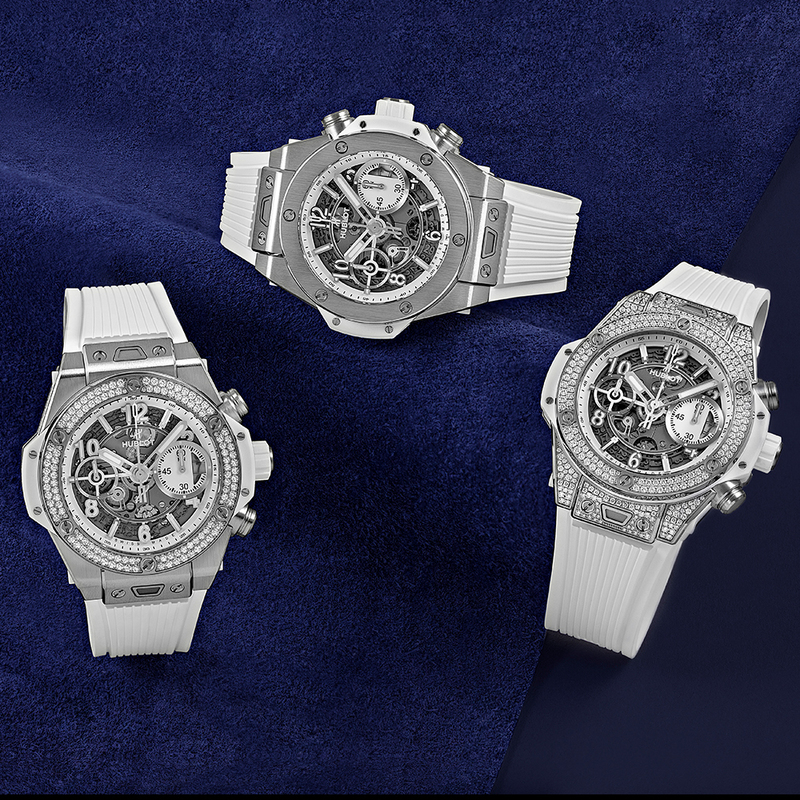 In 2018, Hublot launched the Big Bang Unico 42 mm, a new diameter that opened up the world of unisex watches to the brand. Dressed entirely in white, symbol of unity and harmony and the perfect match for any color. 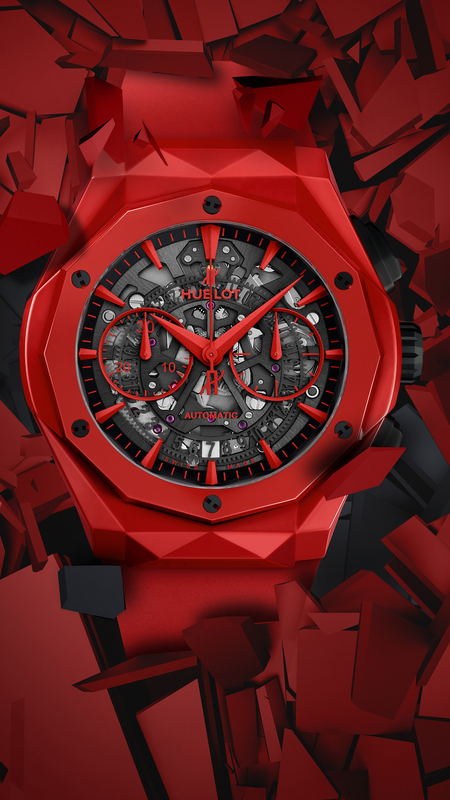 The Classic Fusion Aerofusion Chronograph Orlinski has been paired with Hublot’s patented red ceramic. The color of life and of passion, red evokes Richard Orlinski’s first Born Wild Crocodile sculpture. Created in 2004, it features this vivid and powerful shade of red, which has since gone on to become the most recognizable color in his menagerie. 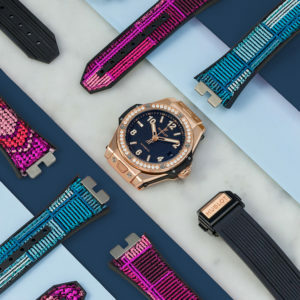 Ever the innovator, Hublot has added eight stylish new straps for the Big Bang to its revolutionary One Click interchangeable strap collection. The watch manufacture has teamed up with Bischoff, embroiderers par excellence based in St. Gallen, to create six embroidered straps in a range of arresting colors. To these are added two new Cuddly Cuffs in Orylag.